With just a blink of the eye, signs of aging can appear. As the skin around the eyes is the thinnest and most fragile skin on the face, everyday facial movements, such as blinking, squinting and smiling, can contribute to the breakdown of this delicate skin. Over time, loss of firmness, creases, lines and wrinkles around the eyes can emerge. But, anti-wrinkle eyecare products containing ceramides and peptides can counter this progression and reinstate a youthful eye zone. Ceramides – found naturally in the uppermost layers of the skin – have been proven to be an excellent skin rejuvenator in eye care products. They help the skin retain moisture, strengthen its protective barrier and stay firm and plump. As we age and are subjected to sun damage, the effectiveness of your skin’s natural ceramides is reduced, which weakens the skin’s barrier. Therefore, including products formulated with ceramides in your skincare regimen is a smart move. Cell Shock Age Intelligence™ Eye Zone Booster, one of Swissline’s newest products, contains plant ceramides, obtained from purified wheat lipids, which facilitate better skin cohesion, thereby helping to reduce fine lines and wrinkles. 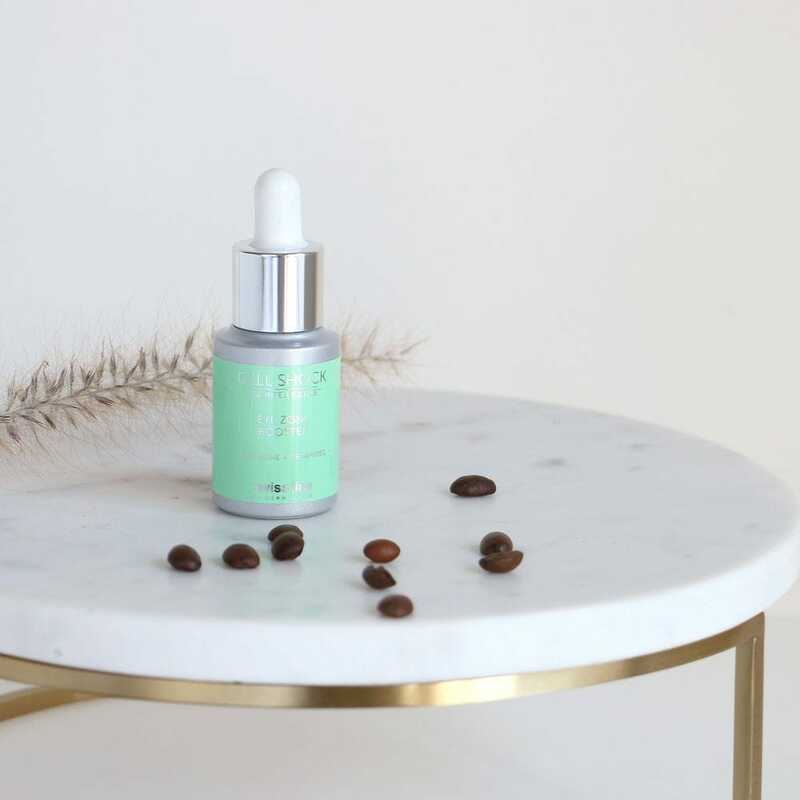 You just need to apply one drop of Eye Zone Booster before your usual eye cream or eye serum, and you should be able to see the difference - plumper, smoother, firmer-feeling skin with fewer visible lines and wrinkles. As far as peptides, like ceramides, they are also naturally present in the skin. Peptides are amino acid chains and can work as messengers in the body. In skincare, they stimulate cellular rejuvenation and collagen production, which in turn, decreases the appearance of lines and wrinkles. An eye cream with the right peptides will deliver real results. 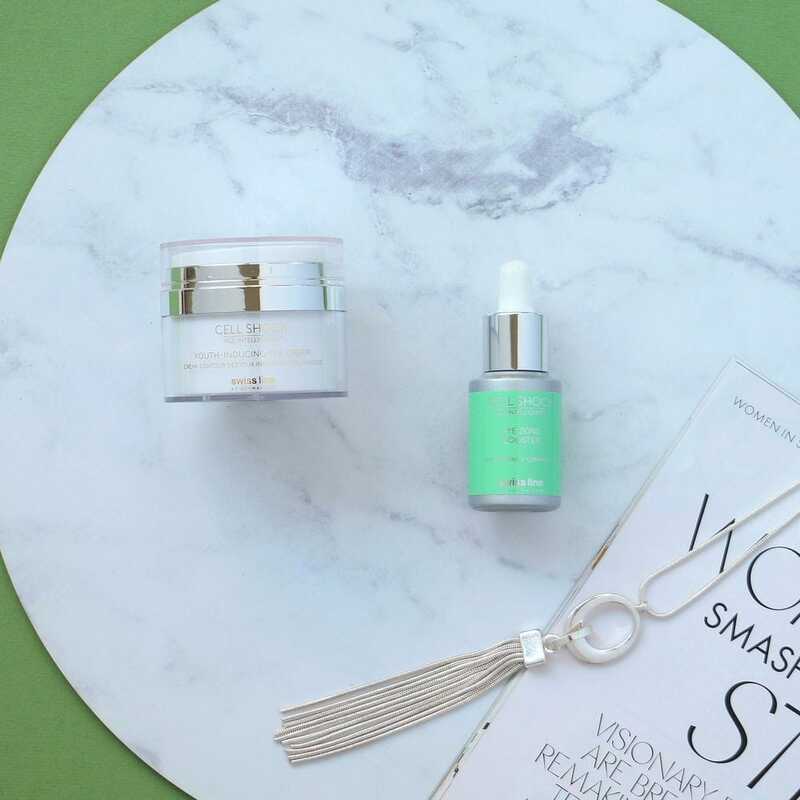 Cell Shock Youth-Inducing Eye Cream for mature skin contains these peptides, bio-mimetic growth factors and stem cells, to create a firmer look. With Swissline, you can set your sights on a younger looking eye zone! What is Collagen... and Does it Work in Skincare? We all seem to have a rough idea of what collagen is, but do we really know? And does this elusive substance really work in skincare?